They said the woman was running along Cleveland Avenue, ran down the hill to I-75 and, with nowhere else to go, she tried to run across the interstate where she was fatally struck. 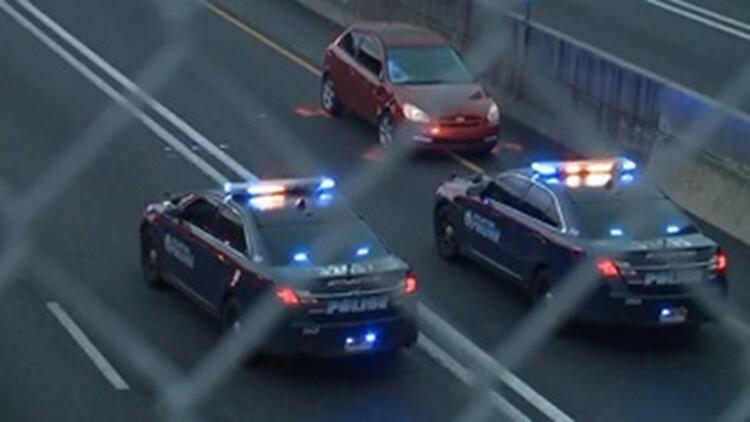 ATLANTA – Interstate 75 was shut down for hours Thursday morning after a woman, police said, intentionally ran onto the road. Witnesses told 11Alive several cars hit the woman as she was attempting to escape an attacker. The witnesses said they want police to know the victim was a “marked woman” trying to run away from someone who was running after her to attack her over an argument about drugs. They said the woman was running along Cleveland Avenue, ran down the hill to I-75 and, with nowhere else to go, she tried to run across the interstate. A few steps into the northbound lanes, several cars struck her and she was killed. He said people began seeing the woman around Cleveland Avenue and I-75 a few days ago. Rico said she was asking for money from others who have little or nothing, themselves. Then, Rico said early this morning, the woman got into an argument with another woman over drugs and that’s when someone began to chase her along Cleveland Avenue toward I-75, to steal her drugs. Atlanta police continue to investigate. As of now, they do not expect to charge anyone in this woman’s death. The rate at which pedestrians are being killed on Georgia's roadways is slowly rising and officials can only speculate what the reasons are. According to the Governor's Office of Highway Safety, pedestrian deaths have gone up 60 percent since 2014. This includes deaths on interstates and roadways. In 2014, there were 163 pedestrian deaths reported. In 2015, 194. In 2016, 232 and a preliminary estimate of total pedestrian deaths in 2017 is a staggering 260. So far in 2018, there have been 116 reported pedestrian deaths and that is ahead of the pace of 2017, according to the Governor's Office of Highway Safety.